We build custom apps for event organizers around the world with the most competitive pricing on the market. We've got the tools you need to keep your attendees engaged. 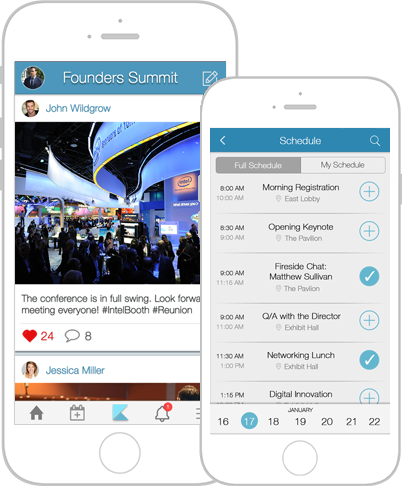 We work with our clients to create the most useful and engaging conference apps for their attendees. We offer the most cost-competitive pricing packages on the market. Our all-star team can build high-fidelity apps three times as fast as our competitors. This is why our clients keep coming back. Get in touch with our team to learn more about our product or to request a demo.